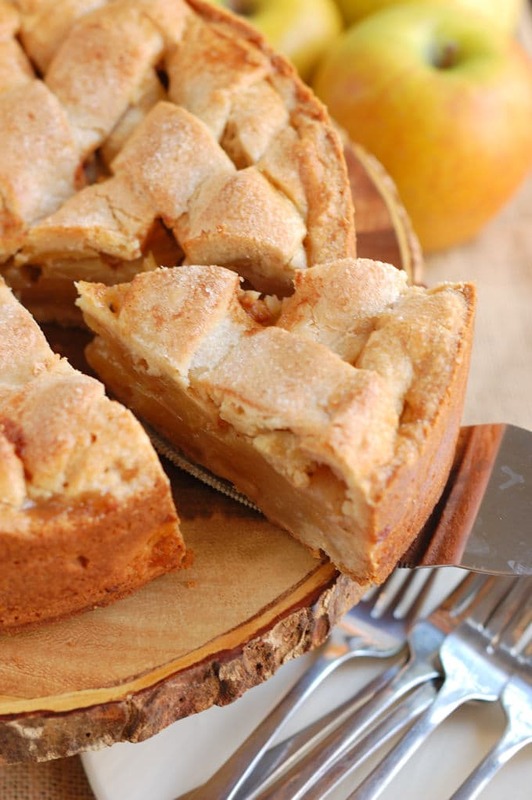 I have my Dutch mother-in-law to thank for this Dutch Apple Tart recipe. My husband moved from The Netherlands to the US after college and every once in a while he craves a taste of home. 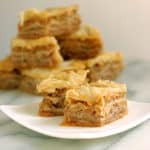 This recipe is based on one that my husband xeroxed from his mom’s old cookbook. To adapt it for the US kitchen I first converted the metric measurements to cups and ounces. The original recipe called for a type of sugar that we don’t get here in the US, so I used a mixture of brown and granulated sugar to get a similar result. Otherwise, the recipe is pretty much as my mother-in-law has made it since, probably, the 1950s. The original recipe copied from Oma’s cookbook. 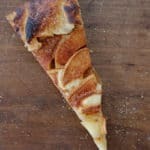 A Dutch Apple Tart is different than an American Apple pie, and it’s definitely not what most Americans call a Dutch Apple Pie. 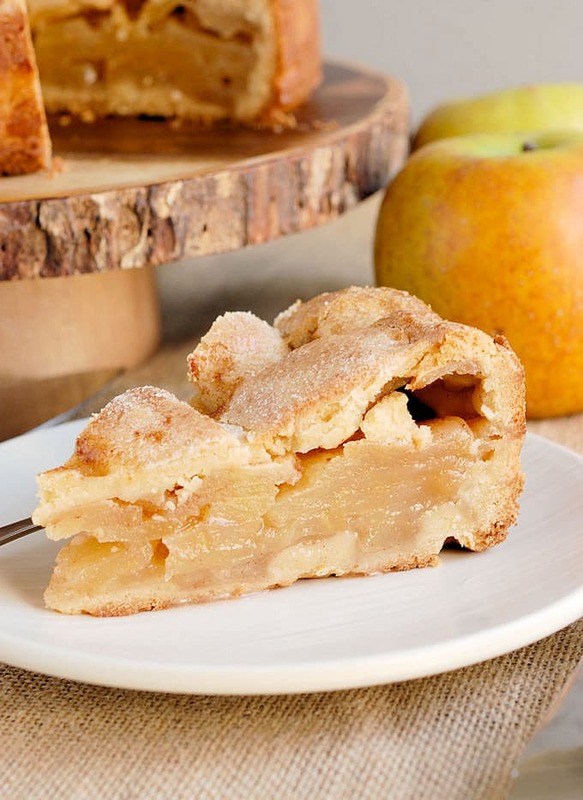 What is known in American as Dutch Apple Pie is an apple pie with a crumb topping. 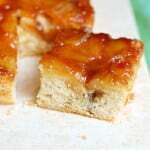 Dutch Apple Tart has a cookie-type crust and is baked in a spring form pan rather than a pie pan. The filling is simply apples with sugar and a little cinnamon. There’s no thickener in the filling so the juices are reabsorbed into the apples and the crust as it cools. 40 pounds of “Gold Rush” apples should take us through the winter. 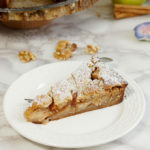 As with American apple pie, you should use a nice tart apple for the filling. 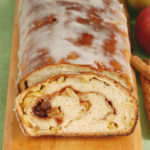 I use “Gold Rush”, my absolute favorite baking apple. Every fall I order them in bulk through our farm share and they keep through the winter. Gold Rush have a firm texture and a good balance of tart and sweet flavor with lovely floral overtones. Granny Smith would probably be the best option from the supermarket, or use your favorite baking apple from a local orchard. You may need to adjust the amount of sugar in the filling based on your taste and the flavor of your apples. The crust comes together like a shortbread dough. It will look crumbly at first but you can knead it into a dough that can be rolled. 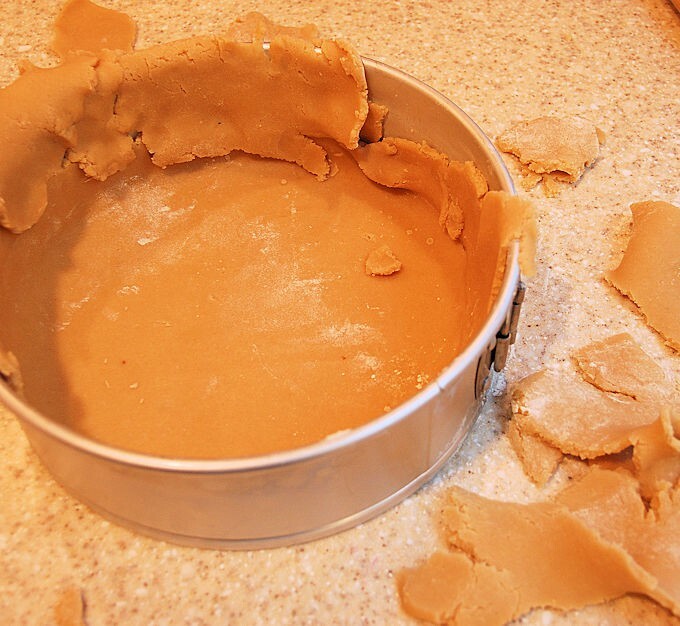 If you’re not comfortable rolling a soft dough, you can sprinkle the loose crumbs into the pan and then press them onto bottom and sides of the form. Either way, just be sure the dough is evenly thick all around and there are no gaps or holes in the crust. If you do roll the dough it will probably break up a bit as you line the pan. It’s no big deal, just piece it together. The tart keeps well for several days at room temperature. I like to microwave a slice for just 10-15 seconds to warm up the apples a little. As they say in Holland, “eet smakelijk”! 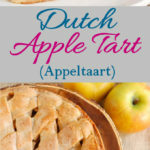 A Dutch Apple Tart is different than an American Apple pie. It has a sweet crust and is baked in a spring form pan rather than a pie pan. The filling is simply apples with sugar and a little cinnamon. There's no thickener in the filling so the juices are reabsorbed into the apples and the crust as it cools. Preheat the oven to 325°F. (I don't use convection for this because it tends to brown too much). 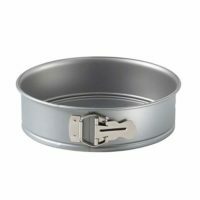 Liberally butter a 9" spring form pan. Combine the flour, granulated sugar, brown sugar, salt and lemon zest in a mixing bowl. With the mixer running, toss in the butter and mix until thoroughly combined. With the mixer running, add the egg and mix just until it forms wet crumbs. Dump the dough onto a lightly floured surface and knead together. Reserve 1/3 of the dough for the top of the tart. Roll the remaining 2/3 of the dough into a 16" round. Lift the dough onto the rolling pin and unroll over the pan. The dough will probably break apart but just piece it together to line the pan. If you find rolling this soft dough too difficult you can sprinkle the crumbs into the pan and press into place. Cut each apple into quarters and slice each quarter into 1/4 thick slices. Toss the sliced apples with the granulated sugar and the cinnamon. 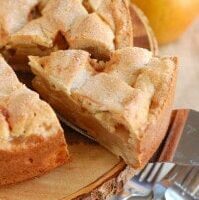 Sprinkle the bread crumbs into the bottom of the tart shell and then pour the apples over the bread crumbs. The pan will be about 2/3 - 3/4 full. Brush the inside of the tart shell from the apples up with egg wash. Roll the remaining dough into a 10" round. 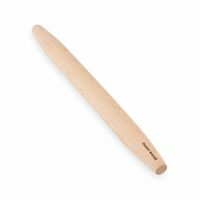 Use a pizza cutter or sharp knife to cut the dough into 1" wide strips. Arrange the strips in a lattice pattern over the apples (see how to weave a lattice here). Trim the excess dough from the tart and brush the top of the crust with egg wash. Sprinkle the top of the tart with granulated sugar. Bake for about 1 1/4 hours until the apples in the middle are tender and the juices are bubbling. Cool completely in the pan. To unmold the tart, run a knife around the edge to make sure the crust isn't sticking and then release the pan. The tart keeps for several days at room temperature. 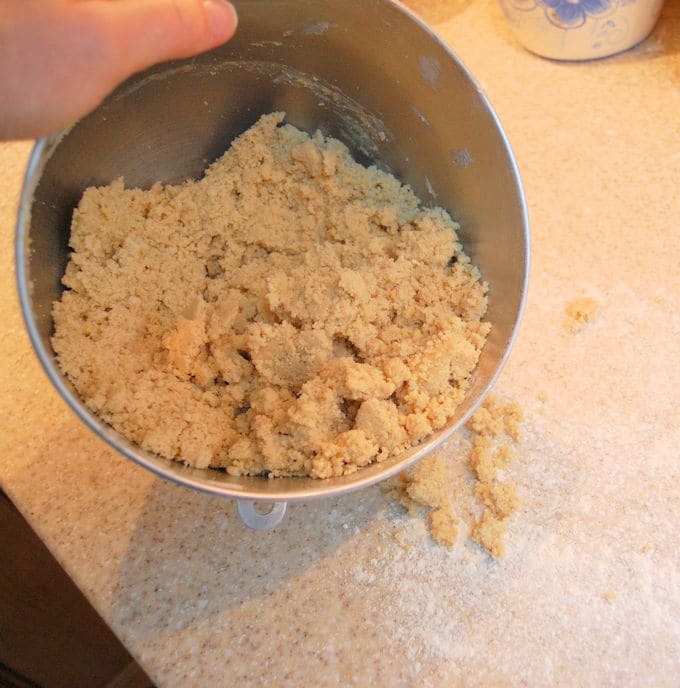 If you find rolling this soft dough too difficult you can sprinkle the crumbs into the pan and press into place. Taste the apples and adjust the amount of sugar to your taste. I used "Gold Rush" apples which are a little less tart than "Granny Smith". This looks delicious! Do you think I could make this now and freeze it for Christmas.? 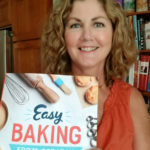 Hey Kath, I’ve never frozen the tart after baking so I can’t say for sure, but my guess is that it would be a little worse for the wear after freezing. Probably a soggy crust and apples. If you want to work ahead it might work to freeze the unbaked, assembled tart. My way to work ahead would be to make the dough and freeze it and then put it together and bake the day before. Let me know how it works out if you try it. Thanks, Theresia. 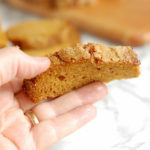 I’d love you to share the recipe as long as you link back to my blog. Glad you liked the tart. It’s one of my favorites. door kristalsuiker even door de oude elek. koffiemolen fijn te malen. Idee? Hi Gerard, I’m answering in English because my Dutch is not that great (I had my husband make sure I was translating your comment correctly). Also, answering in English allows my American and British readers to benefit from your comment. So, what you’re describing sounds like what we call “superfine” sugar here in the US. I think in Britain it’s called castor sugar. When I was doing this recipe I asked my husband what the equivalent was for basterdsuiker but he didn’t know. He’s not a baker and didn’t know about superfine sugar. 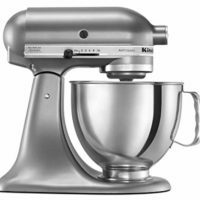 Yes, using a coffee grinder or food processor to grind regular granulated sugar into superfine sugar is a great way to do it. My husband also said that bastersuiker comes in both white and brown forms. That’s why I used a combination of white and brown sugar for this recipe. Thanks for your input and “Daag”!! That’s great to know, Ann. Thanks for taking the time to tell us that freezing works. I just came across this recipe while searching the internet for an apple tart and this recipe sounds Wonderful:) I’m interested in knowing the purpose putting bread crumbs on the bottom crust before adding the filling. Hi Mary Anne. The bread crumbs will absorb some of the juice released from the apples as they bake. It’s to keep the bottom crust from getting soggy. It’s a really good recipe. I hope you try it. Hi all. I read the recipe and oma’s recipe called for BESCHUIT not bread crumbs. Perhaps you can’t get beschuit in the States either? It would serve the similar purpose though.This is a Dutch round rusk. Basterd suiker is soft brown sugar, not icing sugar. Tastes more like it has molasses in it. This is why it is called BASTERD because it has not been refined. Like the sense of humour? I will certainly be trying it. Sounds great. My sister loved the apple turnovers in the Netherlands and made up her version which are extremely simple. Even I made them successfully. No, we don’t get beschuit so that’s why I used breadcrumbs to absorb the juice. Thank you for your response. What a great idea. I tried flouring the bottom crust and it was a disaster:(I have just one more question before I make the pie. About how thick do you cut your apple slices. I use my favorite apple peeler/slicer to cut the apples. The slices end up being about 1/4″ thick rings. I cut each ring in half. If I was peeling & cutting by hand I would peel and core each apple. Cut the apple in half and then slice into 1/4″ thick slices. I hope you like it. Wow, I think I need to look into getting an apple peeler/slicer, Would sure same time and gie consistance in thickness. Thanks for the replay. I’ve got to tell you I LOVE my apple peeler. You can peel, core and slice enough apples for a full pie in minutes. 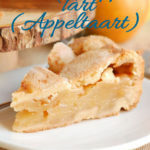 I was just translating my Omi’s appeltaart recipe and looking for guidance as to how to format it. Ran across yours, virtually identical…I was concerned I had too much butter, but guess not! 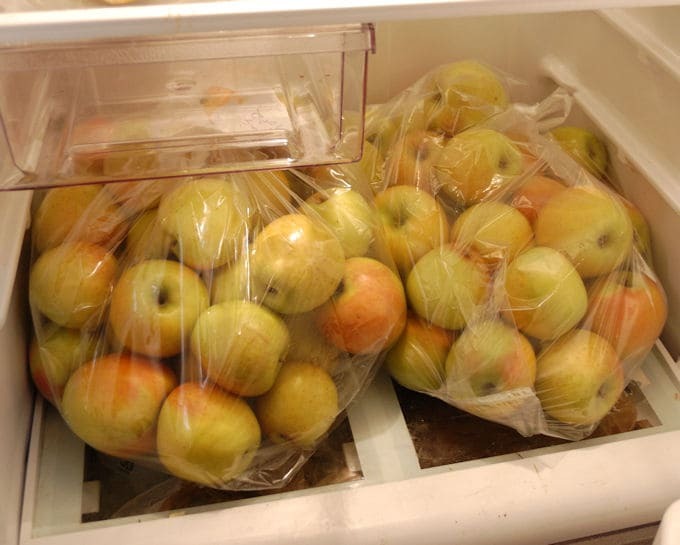 So funny when I saw your gold rush apples, I have my 2 bags from North Star too! I live in narberth, pa and pick up in oakmont….they can’t be beat. Happy thanksgiving. Hi Margot…it’s a small world! 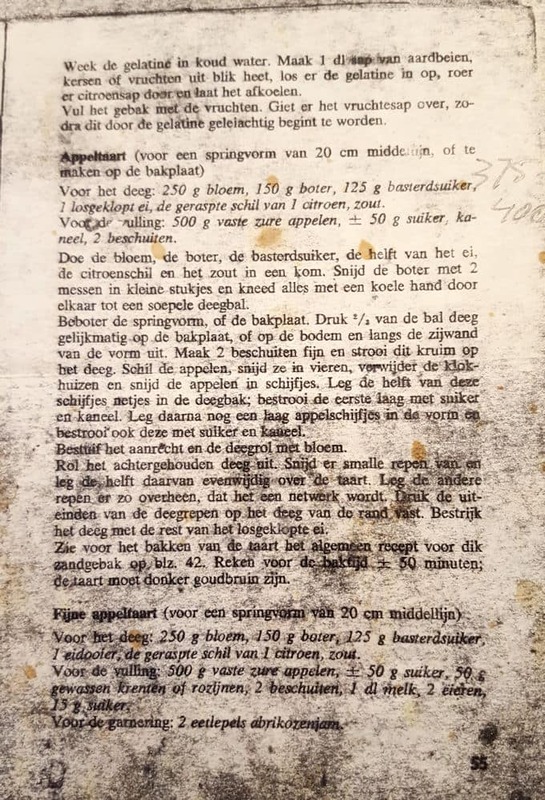 This recipe is right from my mother-in-laws old Dutch cookbook. There is just the right amount of butter—A LOT! Gold rush are my absolute favorite baking apples. I just picked up two big bags last Saturday and will bake with them this week for the holiday. Happy Thanksgiving! Thanks for a nice recipe. I made it yesterday. The apples were still a little hard but acceptable. Will make the slices thinner next time or pre cook the apples slightly. The lattice weave was too much of a challenge, I just criss crossed it which looked ok too. The dough was a bit too brittle for that and my patience too short. Tastes awesome! Will bake it again. The baking time can vary based on which apples you use. The lattice is a challenge with this soft dough. But as long as it taste good, right? Mmm, that sounds wonderful, Truus. Thanks for the tips. I know! 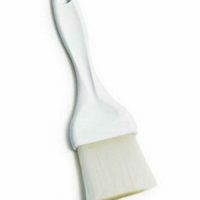 It’s one of my favorite kitchen tools. Glad you like the recipe. How nice! I saw your recipe at Pinterest and because you wrote something about your mother- in- law I wanted to read your article. I especially like your foto with the original recipe in Dutch. I recognized it immediately as a recipe from an old recipebook I got from my moher- in- law! What a coincidence! wish you and your husband lots of lekkere appeltaarten. Thanks, Inge. It’s a small world, isn’t it? 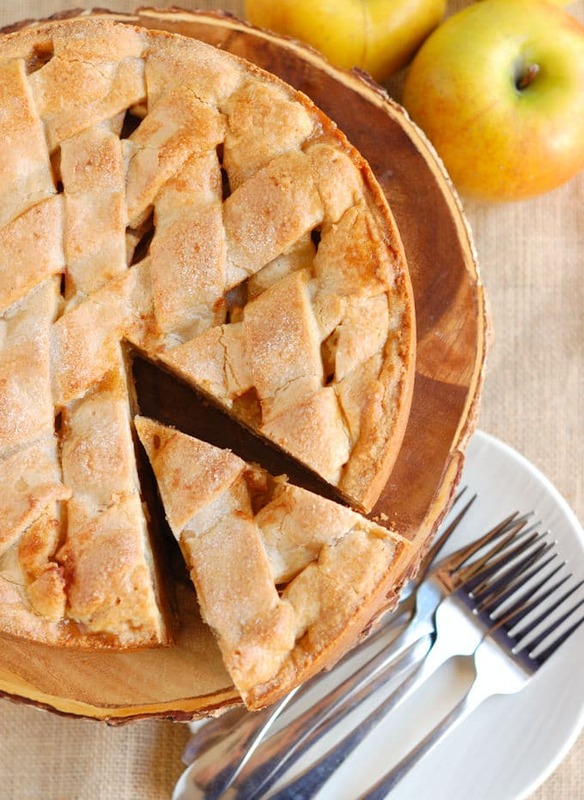 Thank you for this wonderful apple tart recipe . My mom used to make this all the time , but she is no longer with us and it’s been a long time since I’ve had this apple tart . 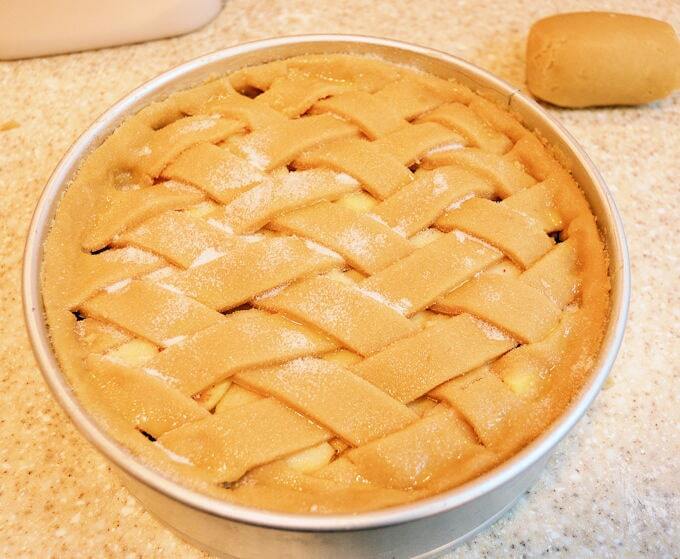 I can’t wait to make this and think of my mom making this dough and making long ropes for the top lattice . Aww, it’s so sweet that this reminds you of your mom. That’s really what baking is all about, isn’t it? I’ve made this twice now, once following the recipe exactly and a second time modifying the method for making the crust. The second time turned out a lot better. I went with a more traditional cookie method, where I creamed the butter, sugar and lemon zest; added the eggs; then added the flour and salt (combined) in three parts. Then I chilled the dough overnight. This resulted in a much more sumptuous and tender crust. The method in the recipe requires you to beat the dickens out of the flour which really overactivates the gluten and makes it tough. 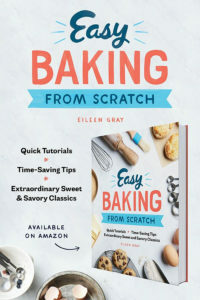 I recommend you treat the dough like a cookie! Hi Morgan. I’m glad you adapted the recipe to suit your taste. You don’t really need to “beat the dickens” out of the flour, just mix all the ingredients with the butter until the butter is distributed. The gluten is not activated until the liquid (in this case the egg) is added. Up until that point the gluten isn’t being developed. This is why most of the mixing happens before the egg goes in and the dough is mixed just until moistened once the egg is added. This method of mixing the dough is the traditional way that sweet dough is made. Creaming the butter and sugar will incorporate air into the dough and change the texture of the tart. If you prefer that texture, great. I’m glad you got a method that works for you, but just wanted to clarify about how the gluten is developed.